What is the first step in bringing sustainability into your office? Green Times was invited to an ‘Office Recycling made Easy’ workshop hosted by Hotel Verde. Corporations play a leading role in implementing more sustainable practices in South Africa. It requires participation by all levels of staff and by practically involving more people there is hope for a shift towards a sustainable South Africa. The obvious first step in greening your office is by starting with something visible, like waste. The aim of the recycling workshop was to provide tools for greater recycling success, methods for communicating more effectively and systems for having greater impact. What makes a good plan? A clear vision is necessary, such as zero waste to landfill, which may vary between companies. One can source great proposals from waste management companies and pick one to suit your needs best e.g. type of waste, collection schedule and location. Someone, or a team, should be elected to be accountable for the initiative to really measure how successful the project is. It is important to keep track of these figures to ensure that the project is working, so ask waste management to keep track of how much of your waste is recycled, and what is still going to landfill. And lastly, decide how you will launch the initiative in a way that gets every person in the office excited and involved. (Incorporate competitions and rewards). Research recycling and educate yourself by using brochures, newsletters and Google. Establish where your waste statistics are currently sitting. How much of it is paper, food or plastic? The answers will inform you what kind of waste your company produces most and what can be reduced or recycled. Track changes in your waste over a period of time. There are many competitions rewarding effective waste management so explore possible contests in your area. This will help motivate the office and encourage teamwork. Communication is key! Getting everyone in the office excited is challenging. 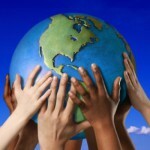 Many employees are focused on work and sideline sustainable responsibility. “Educate your team by saying why recycling is important to them,” advised Berenice. They will act upon it once they make recycling their own. People higher in the office should lead by example. If a certain department is doing well in the corporation, publicize the success! Invest in green for the long term. “How can you green your calendar?” Berenice suggests celebrating environmental days to increase awareness around the office. 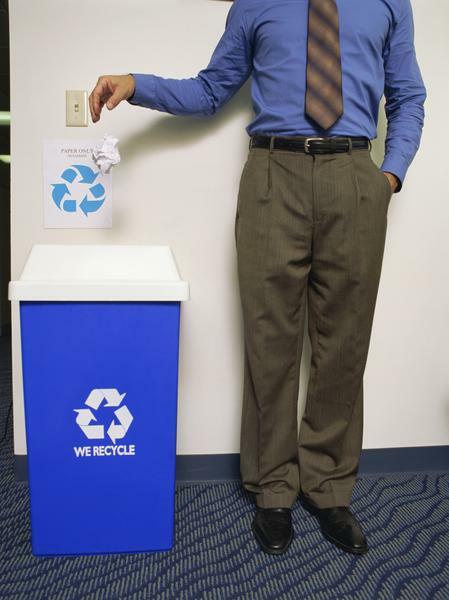 “It is important to integrate the recycling culture.”If you want, you can start bringing green to you office parties, your culture and performance reviewing. Do not procrastinate. There are many skeptics who turn a blind eye to our looming waste problem. “It’s not our thing,” is a common remark among some skeptics. “Our current lifestyle is not conducive to a healthy planet for future generations,” Berenice closes. Start acting now. 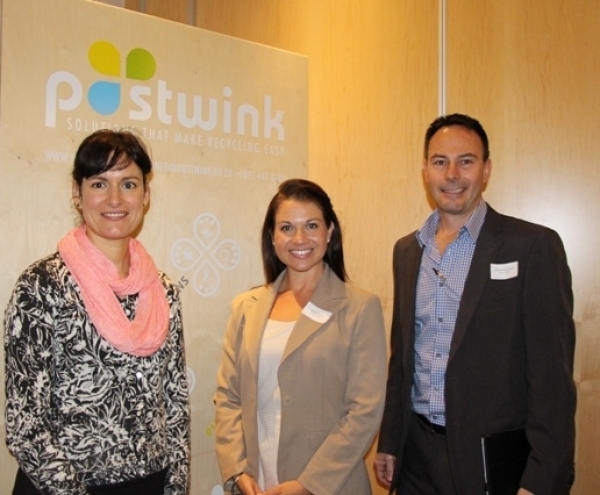 This section was presented by Berenice Westmore, founder of Postwink Recycling Solutions. Postwink has successfully set up over 450 recycling initiatives in different organizations. Angela Barter, Sustainable Communications Strategist and founder of @communications, emphasizes how essential it is to “communicate green initiatives to stakeholders and the media”. Stakeholders refer to both the community affected by the company and the shareholders invested in its interest. “Stakeholders want to know the company is not profiting at the expense of environmental and human rights,” Angela explained. When implementing sustainable practices, staff and employees must be educated because they are the driving force of the operation. Also publicize these projects using media. Be honest and accurate about the information you disclose, which must be verifiable. “Walk before you talk.” A good step to building trust with stakeholders is to conduct a green audit. Be familiar with the company’s objectives and what must happen in terms of reaching them. Green consumerism is spurring sustainable practice. “Everyone wants to be cleaner and greener than their next door neighbour.” Green is becoming a hot topic. Conducting a green report may be expensive “but it will be more costly to your reputation if you don’t.” But be careful of green washing, Angela warns, referring to falsely advertising a product as environmentally friendly when in actual fact there is no evidence to prove the label. What does sustainability mean in SA? Lloyd MacFarlane, managing partner at GSA Campbell Sustainability Consulting, shared his views on what sustainability should mean in South Africa. “Let’s think beyond a green tag, what really matters to us in South Africa?” he asks. Local citizens struggle to value things that they cannot connect with so we have to make climate matter in our South African context. Unemployment is a stark reality in this country, with official unemployment rates escalating to 25%. This can be linked to various social dysfunctions like violence, crime and substance abuse. Our rank on the Human Development Index (HDI), which the United Nations uses to measure life span, literacy, education and quality of life, is 121 out of 181 countries. Our ranking on WHO health efficiency is 175 out of 191 countries. South Africans are not going to focus on being environmentally sustainable with that thrown into the mix. Yet there are opportunities. “Attacking sustainability from a business case scenario is quite cool in this country,” Lloyd concludes. The framework that will be incorporated into making a business sustainable will involve training all the employees. “Start with the visible, like correct waste management.” It may be a “small step” but it is a step towards treading lighter on the earth. 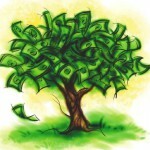 Corporations are playing a big role in promoting sustainable behaviour. We have seen a rise in green building and there is also a growing trend of sustainable practises in the office. Companies set an example of environmentally responsible actions and implementing these sustainable models requires participation on all levels of staff. Hopefully the good habits acquired at work will follow the employees into their homes to promote a shift to sustainable lifestyles.